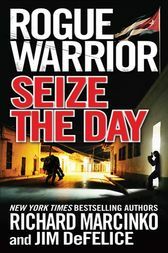 When Marcinko's "friend," the head of the CIA, asks him to spend a little quality time in Cuba, the Rogue Warrior finds there's no way to say no. Once there, Marcinko and company discover that Fidel Castro is on his deathbed. Which wouldn't be so bad, except that he's planned a catastrophic surprise for the U.S. as his going-away present. The Rogue Warrior must find out the nature of that little surprise and thwart it before Castro kicks the bucket. RICHARD MARCINKO is a living, breathing hero--he was honored with the silver star and four bronze stars for valor, along with two Navy Commendation medals. After serving in Vietnam, he started and commanded SEAL Team 6, the Navy's anti-terrorist group, and Red Cell, a high-level anti-terrorist unit whose exploits, fictionalized for security and legal reasons, have formed the basis of his novels. Besides an active speaking and consulting calendar, Marcinko keeps his hand in the field as the president of a private international security company. He lives in Warrington, Virginia. JIM DeFELICE is the author of many military based thriller novels and is a frequent collaborator with Stephen Coonts, Larry Bond, and Richard Marcinko, among other New York Times bestselling authors. His solo novels include Leopards Kill, Threat Level Black, Coyote Bird, War Breaker, and My Brother's Keeper. He lives in New York.